While change is inevitable, the management of change is not. Often organizations implement Six Sigma methods in order to make processes more efficient and effective, save on costs and improve overall operations. Just like other projects, teams rush full speed ahead to go- live and gain immediate results. The problem is that many are left behind and true found practices are not sustained over time. Regardless of how important the change is or how great the benefit, it is hard for people to adjust to change. When effective Change Management efforts are made, we can sustain the great benefits of organizational transformations such as Six Sigma. This webinar will discuss the steps that your organization must take in order to manage change effectively and retain sustained long-term benefits from Six Sigma and other transformational efforts. Dr. Lepora Menefee is a well- sought keynote speaker on People and Process topics worldwide. She is the Managing Director of Nextgen People, a cutting edge firm that specializes in Change Management, Talent Management and Process Improvement Next Practices in a multigenerational environment. Dr. Menefee has partnered with many global business leaders and organizations to be more effective in their transformations and efficient in process operations. She is especially passionate about elevating leader performance and seeing individual and organizational potential realized. She also has a special focus on Intentional Culture and Intergenerational Employee Engagement. Dr. Lepora Menefee has worked and led teams as an internal leader and consultant in Fortune 500 companies to achieve positive transformational change in people and processes. 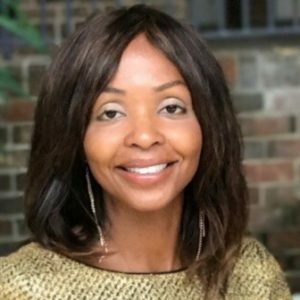 Some companies, with which Dr. Lepora Menefee has partnered include Delta Airlines, ManpowerGroup, Randstad, Capital Blue Cross, Deloitte, and Coca- Cola. Dr. Menefee is dedicated to innovative Talent Management practices and creative ways to help leaders learn experientially. She is the author of Journey to Authentic Joy and is currently working on a second book. Aside from writing, she also enjoys hiking, running, traveling and photography.